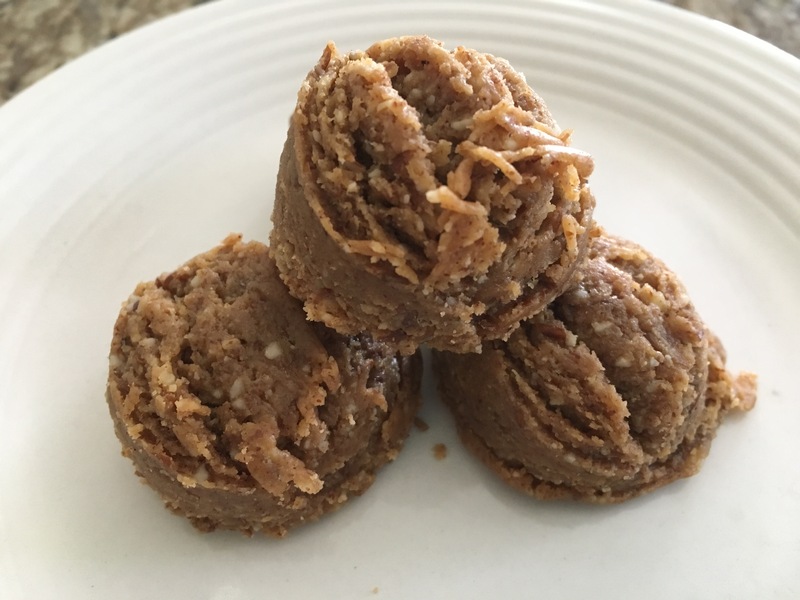 This is a cool and sweet snack that you can feel good about. 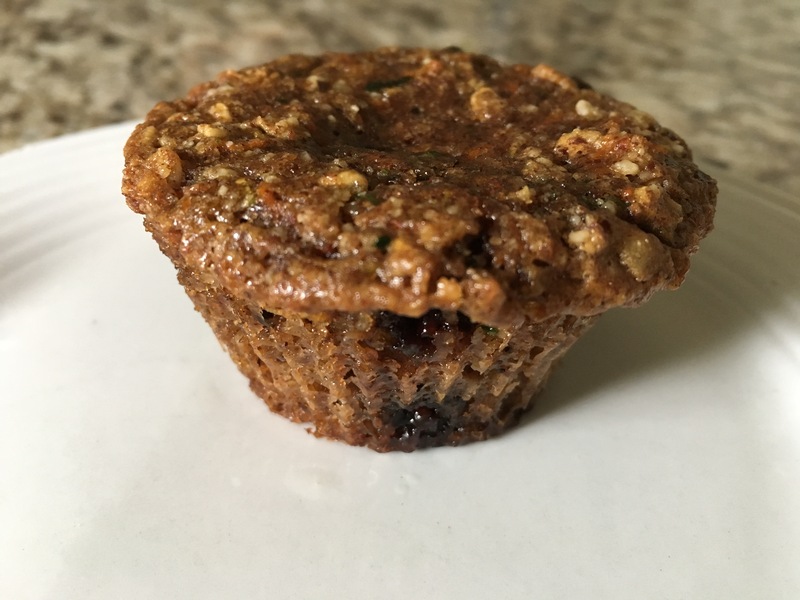 And as chia seeds expand, they help you to feel fuller, so if you’re trying to eat less, this is a great little snack to have around. 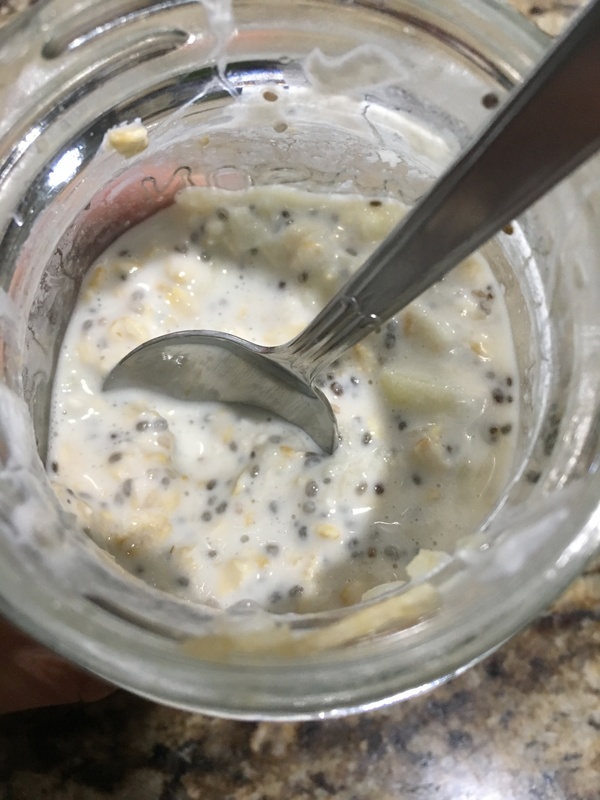 Chia seeds are high in Omega 3 fatty acids which is something people will try to get from fish oil supplements, but I prefer throwing chia seeds (or flax seeds) in my foods instead. 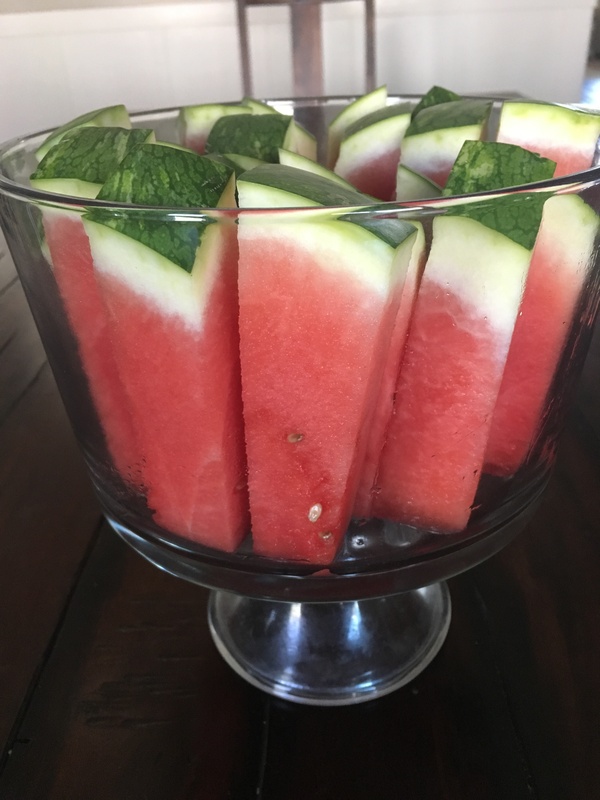 Try this out, it’s a great summer snack. 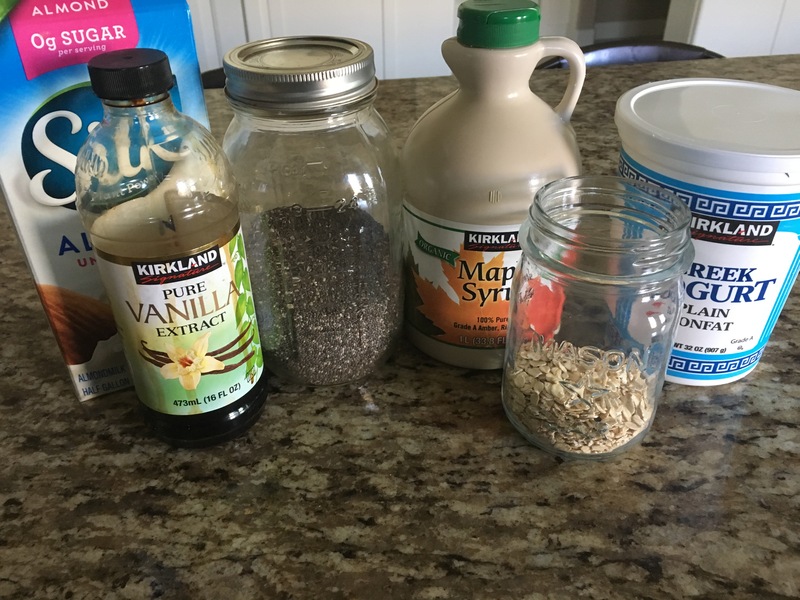 Place chia seeds in a quart jar. Add the remaining ingredients and put lid on tight. Shake vigorously until all combined (a few seconds). Let stand at least 15 minutes before mixing again and serving. Store in fridge. *the amount of almond milk depends on how thick/runny you’d like it. I like mine runny, so I use 1 3/4 cup, but use less if you want it a little thicker. I can eat quinoa in so many ways, I throw it in stir frys, chili’s, in place of brown rice, but my husband doesn’t love quinoa, and will always go for the brown rice instead of quinoa. But this recipe is an exception. I think all the mexican foods, kale and the lime juice, masked the flavor and texture.He told me twice during dinner that he really liked this salad, and the next morning he had it for breakfast with some scrambled eggs on the side! If you’re looking for a good way to use this superfood, that contains all 9 essential amino acids, give this one a try! In a medium saucepan over high heat, bring water, quinoa and 1/4 tsp salt to a boil. Reduce heat to low, cover and simmer for about 15 minutes until water has been absorbed. Transfer to a large salad bowl and fluff with a fork. Set aside to cool. 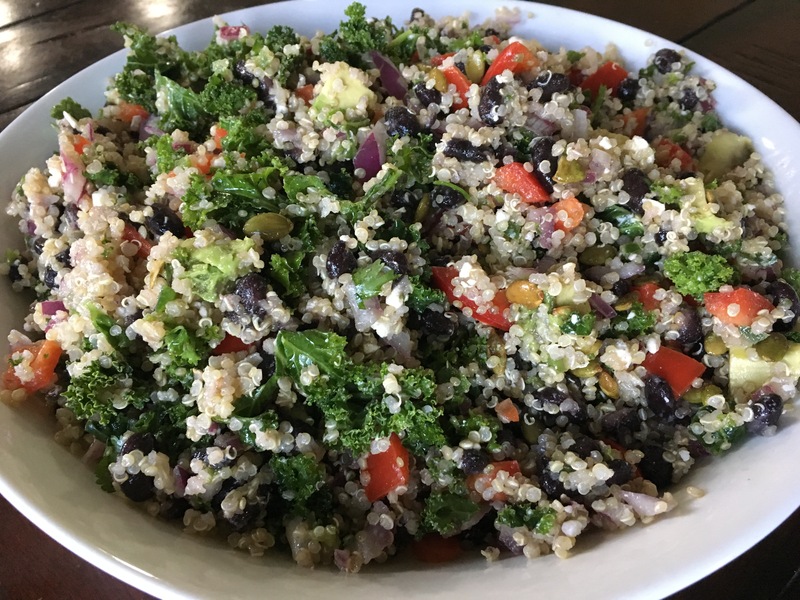 Once cool, add the kale, bell pepper, jalapeno, onion, cilantro, back beans, lime juice, oil, Feta cheese and remaining 1/4 tsp sea salt to the quinoa and toss to combine. Chill in the fridge until ready to serve. Just before serving, top with the avocado slices and pepitas. 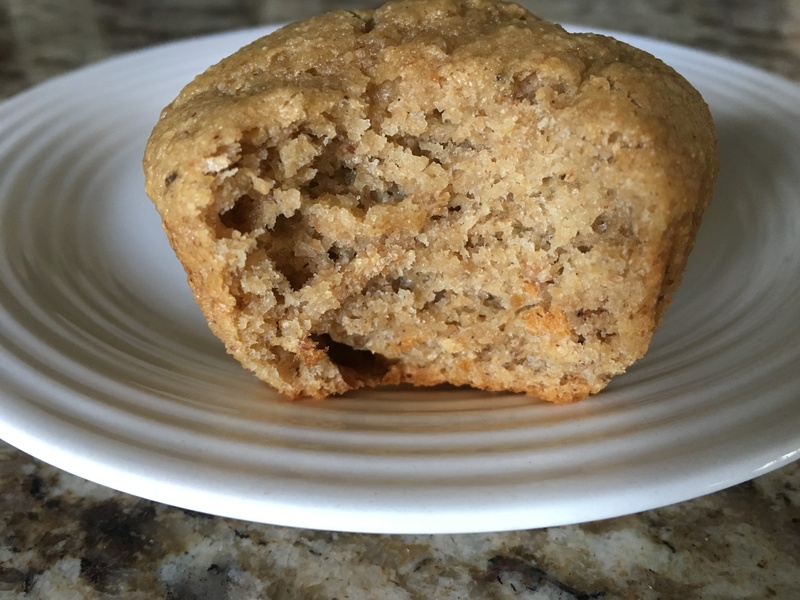 For those of you who follow me on instagram(elisa_realfoodsmom), you’ll recognize this recipe from a post I did last week. 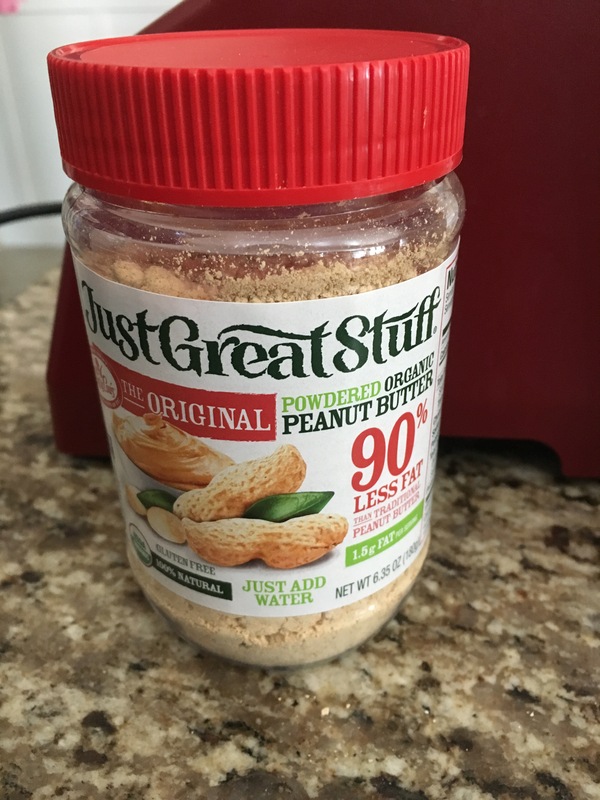 I found this powdered peanut butter on sale at Sprouts and picked it up when I saw there were only three ingredients and no refined sugar (peanuts, salt and coconut sugar, which is unrefined). 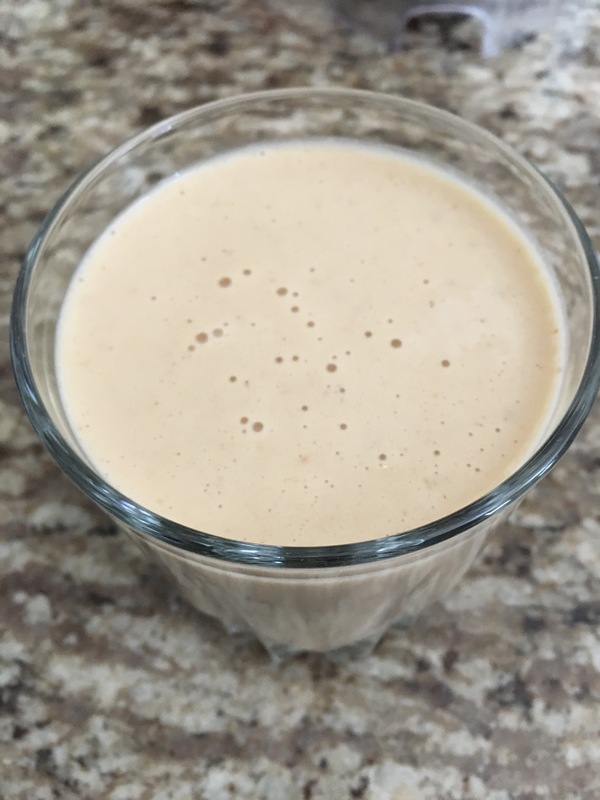 Since then we’ve made multiple batches of peanut butter and banana protein shakes! 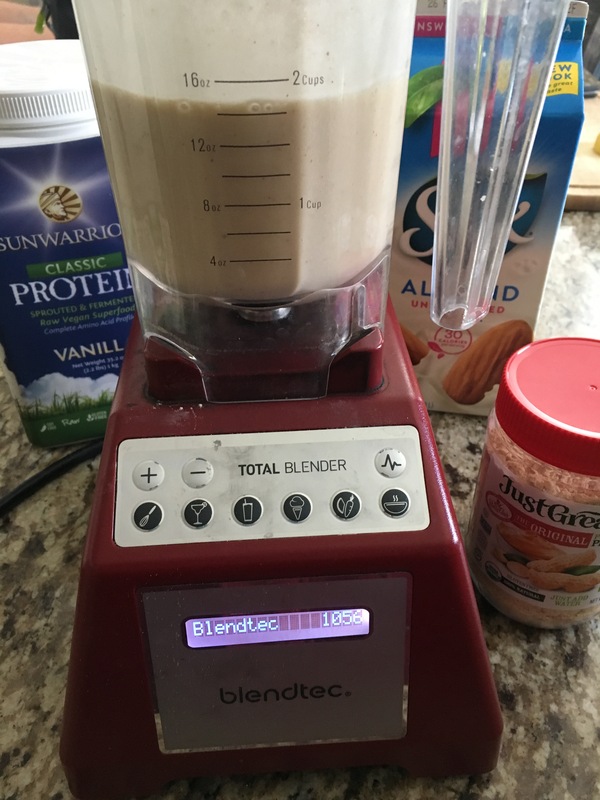 You could also sub the powdered stuff for all natural peanut butter, 1:1 ratio (if you’re watching calories though, the powdered is the way to go). Blend until smooth. Makes about 14 oz! 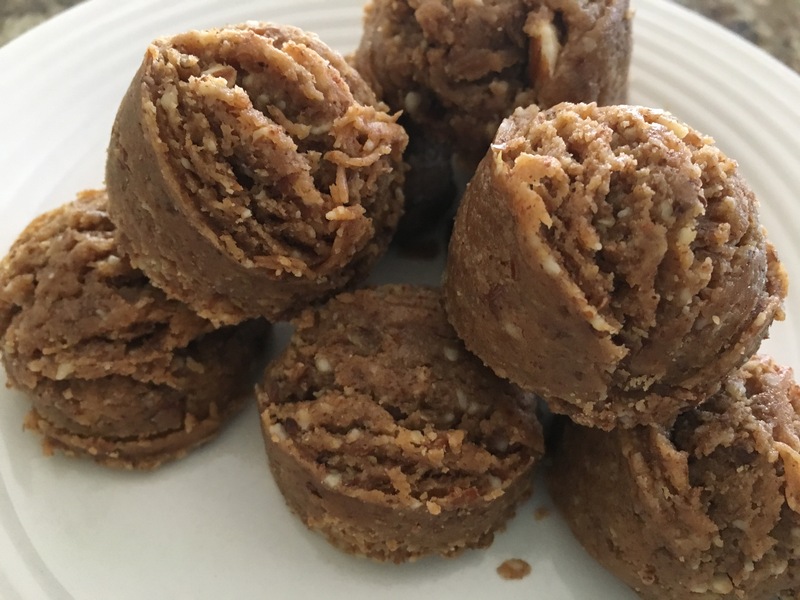 We love protein bars and balls (I’ve posted recipes for both in the past), and I have a new one for you today which I’m super excited about because it is delicious! You guys, I hide these from my kids, they’re that good. I make them when they’re at school so they don’t even know, and then I put them in our fridge in the garage, behind something big :). I only make 16 at a time which will last me a couple of weeks, or at least a week! But with 5 kids snacking on them, and begging for more, they wouldn’t last a day in our house. 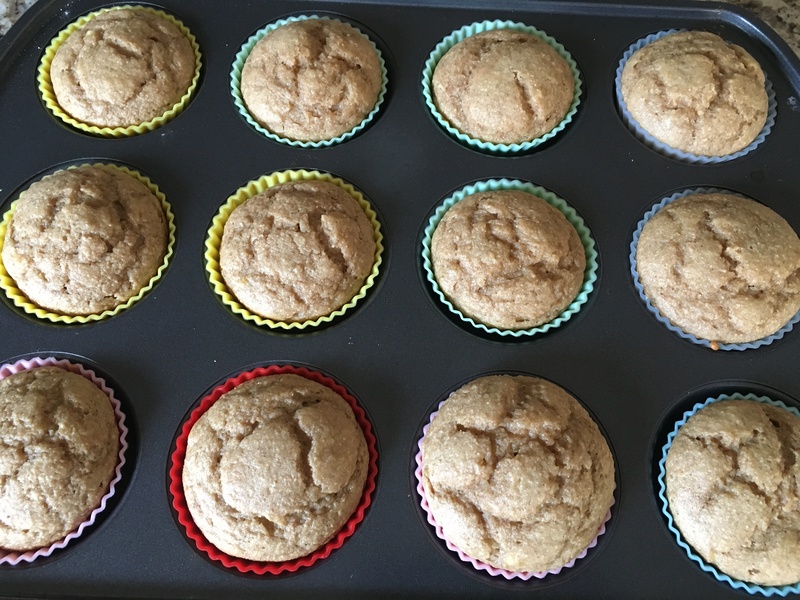 I suppose I could double the recipe….maybe someday I will, and then maybe I will share. Maybe. At the very end of this post I will have the macro numbers since my hubby and I are doing an 8 week macro counting challenge…which is hard but kinda fun, like playing a game, and since my husband and I are doing it together we can motivate one another. He’s raising his macros trying to gain a few pounds, and I’m doing the opposite. He’ll text me a couple of times a day with “i’m stuffed” or “I’m so full”, and I text back with some encouraging emoji like a thumbs up for “you got this!”, but inside i’m thinking, “I wish that were my problem, being too full.” Instead I’m mostly not ever full, but I’m not starving either. It’s all good and we only have 6 1/2 weeks to go! :). I’m hoping this whole process will teach me to be more aware of my foods and their caloric content and it’s a good reminder for me that I don’t need to be, nor should I be, snacking all throughout the day and that it’s okay to be hungry, probably good actually, because it means I’m allowing time for my food to digest fully, not overloading my system, and it makes me appreciate the flavor of foods more; everything tastes amazing these days! 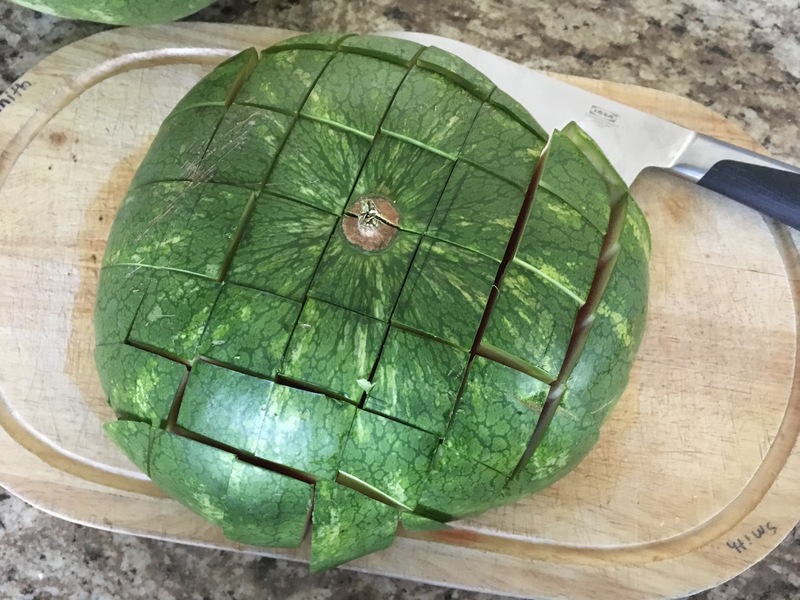 Alright, enough of that, let’s get on with the recipe! 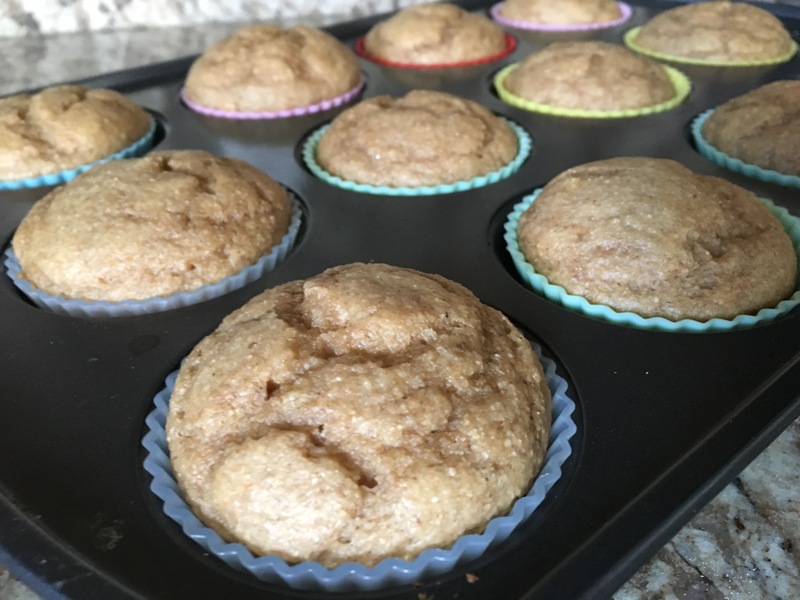 In a medium mixing bowl add almond butter, syrup, flax, protein powder and vanilla and stir together. Add almond flour and mix well. Place on an ungreased cookie sheet using a cookie scoop to measure. They can be very close together as they will not change in size. Cover with plastic and put in the fridge to chill for half hour or more. Feel free to then transfer them to a smaller tupperware container. You can store these in the fridge or freezer. Enjoy! 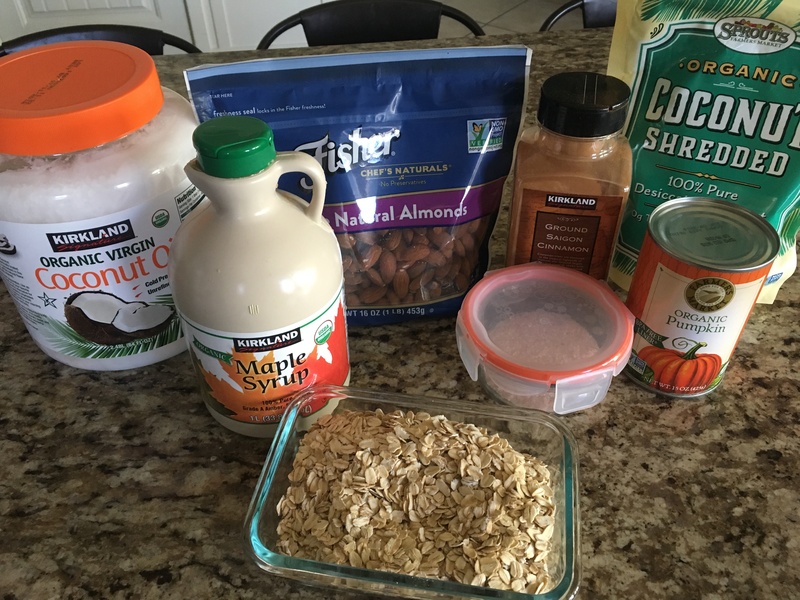 In a medium mixing bowl add almond butter, syrup, flax, protein powder and vanilla and stir together. Add almond flour and mix well. Place on a cookie sheet using a cookie scoop to measure. Cover with plastic and put in the fridge to chill for half hour or more. 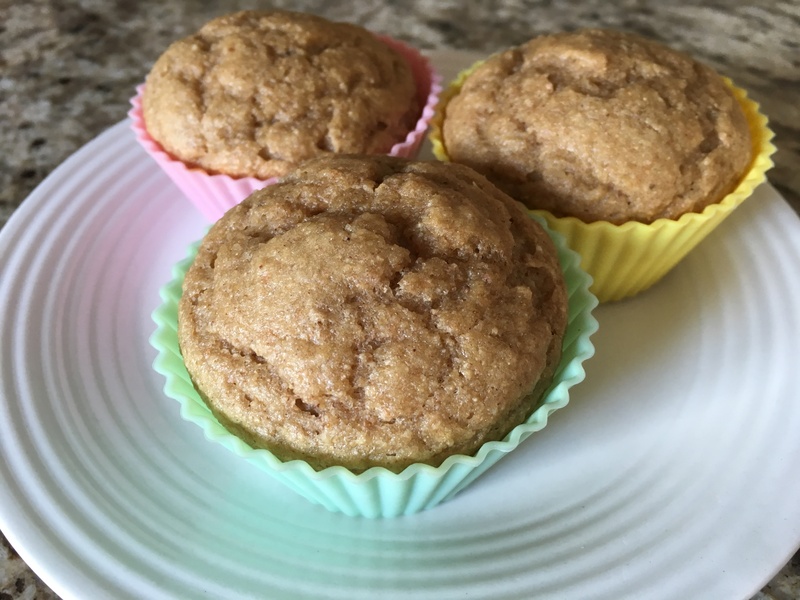 Transfer them to a smaller tupperware container.Store in the fridge or freezer. I hope you all had a nice Christmas; it is my absolute favorite holiday! I love the lights, the music, the food, I love acting out the nativity with our family and reading the Christmas story and one of my favorite things is having Scott around for several days in a row. This year we were so pleased that his parents were able to join us for Christmas from NC, and Scott was home for almost a week straight which was heaven on earth! 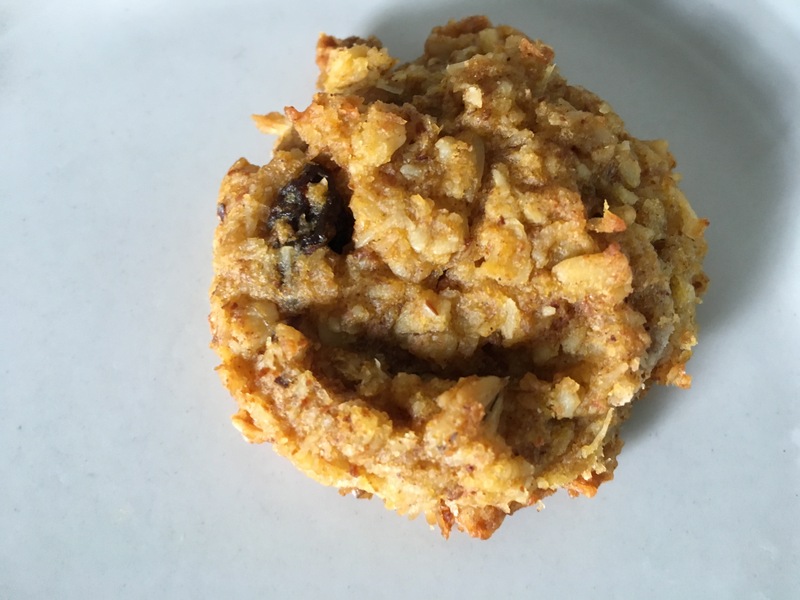 I am so excited to share this breakfast cookie recipe because I am loving them! 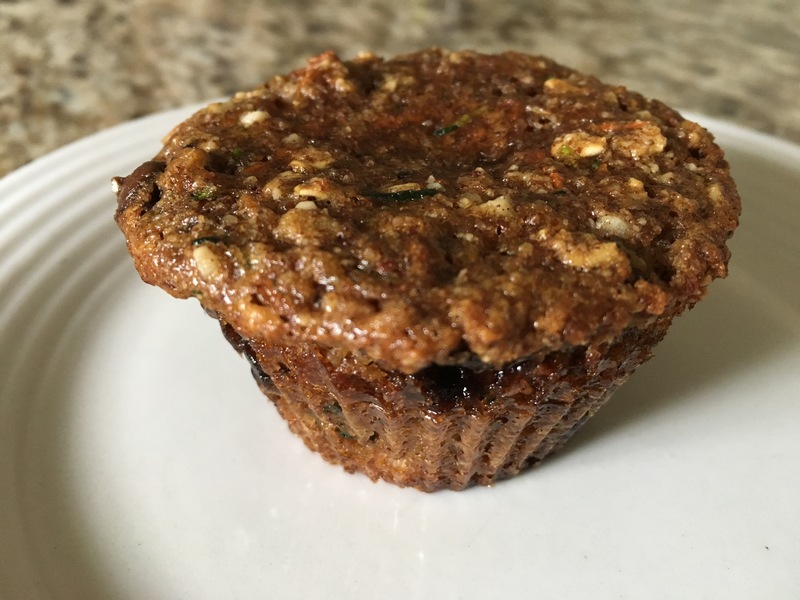 It’s more of a quick, grab-and-g0 healthy snack or breakfast, rather than a dessert-type cookie. 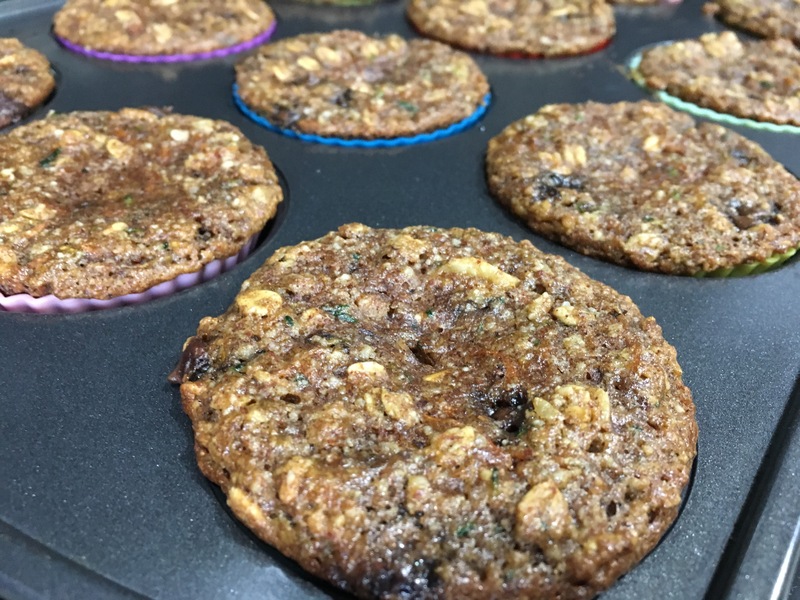 I freeze almost the entire batch and then eat one or two a day, straight out of the freezer; they don’t require any thawing time. 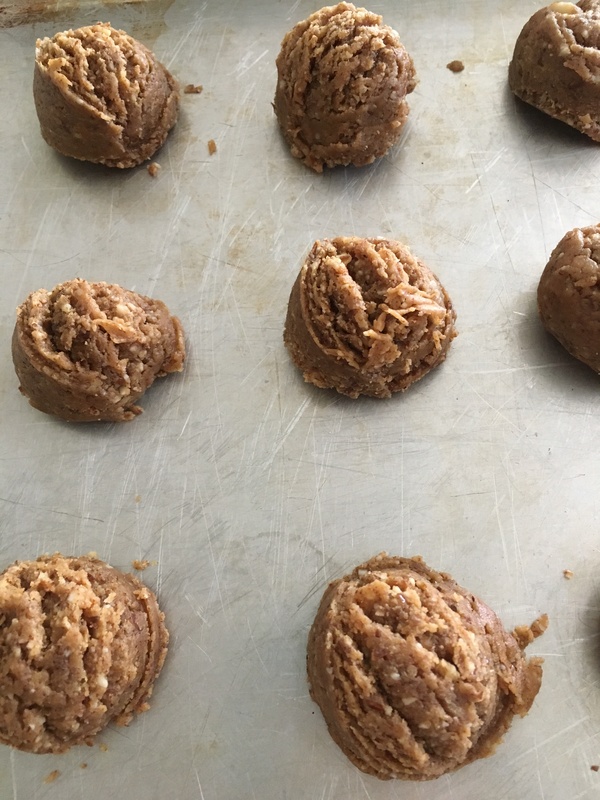 If you don’t freeze them, just know that they are a softer cookie and I think after day two you’ll find they get even softer when stored in a tupperware so you’d probably want to freeze them after a couple of days. I waited a day before I froze mine. For those of you that care, each cookie is 100 calories when you make 36 cookies(I’m doing My Fitness Pal again for a short time which I don’t love, but because of all the yummy Christmas foods we still have around the house, I’ve been snacking way too often so this’ll help keep me in check). 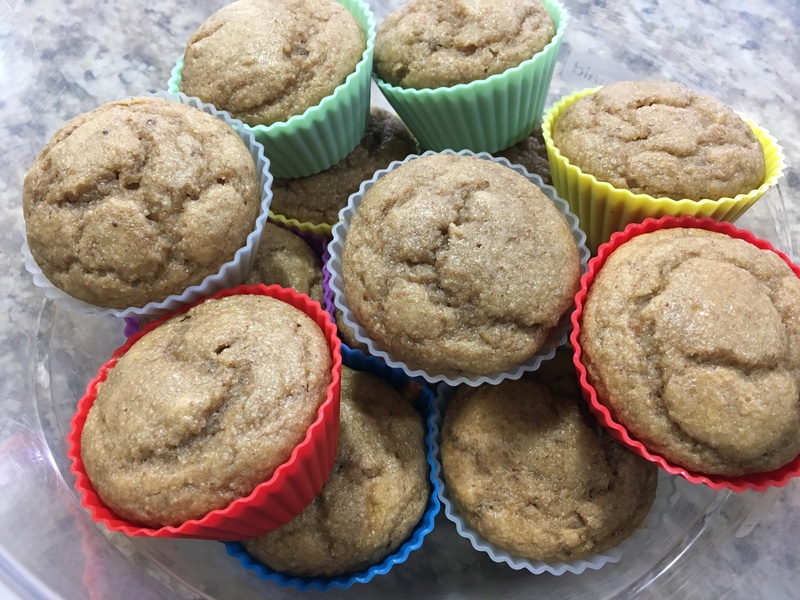 I found this recipe in this month’s Runners World magazine, which was submitted by Elyse Kopecky and though her recipe only makes 20 cookies, I found when I used my cookie scoop, 36 was a more accurate amount. If you make them bigger, then obviously, the calorie count per cookie will be higher. 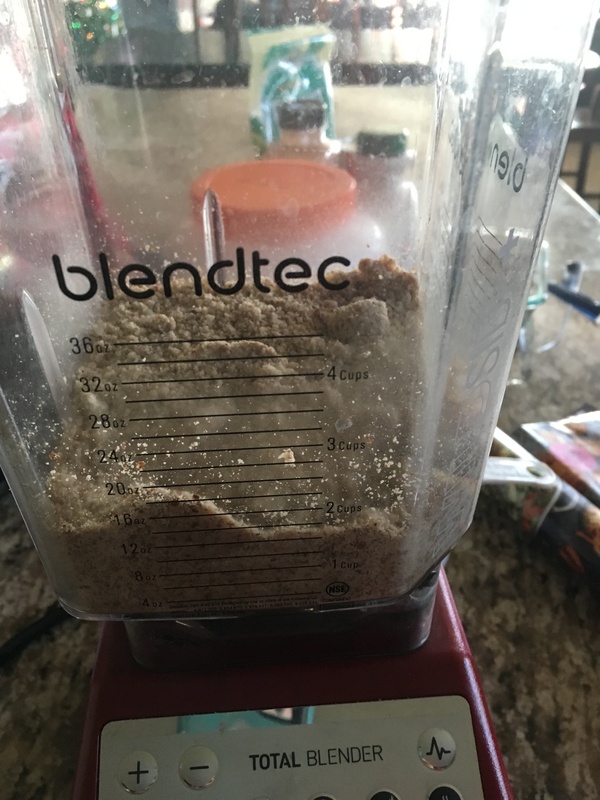 You can buy almond flour, or you can grind your own if you have a high power blender. 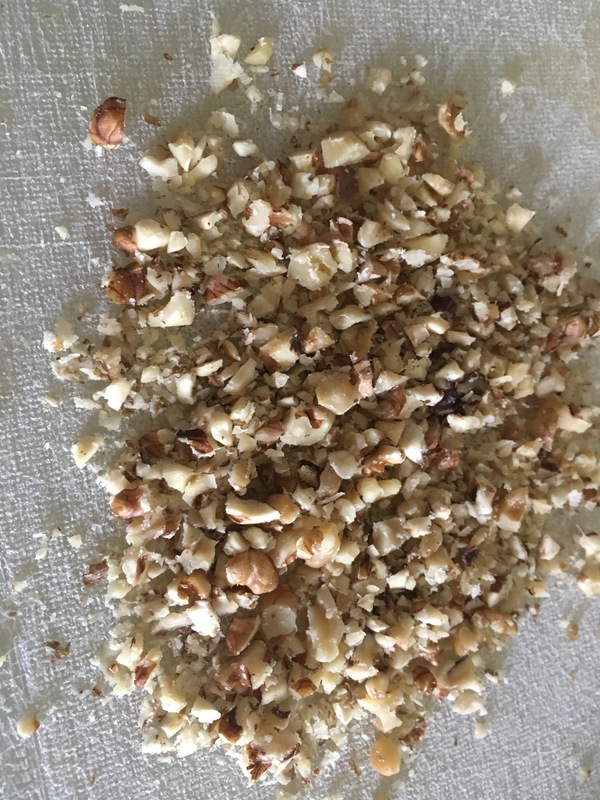 I just straight up throw in whole, raw almonds and grind them for several seconds, mix it with a rubber spatula, grind for several more seconds, and it’s done! 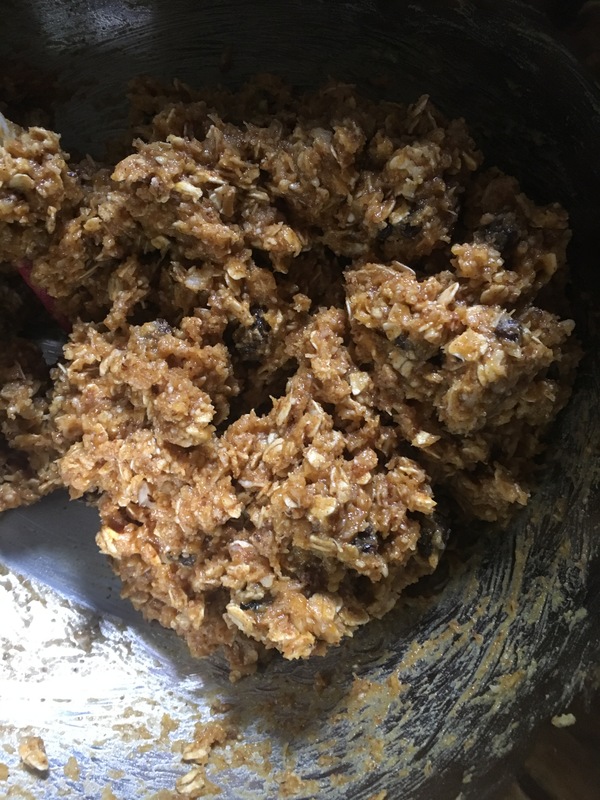 I added raisins and a handful of chopped walnuts but you can leave them plain or add some chocolate chips or whatever else you like. I mix all my ingredients together in a large mixing bowl with a wooden spoon. 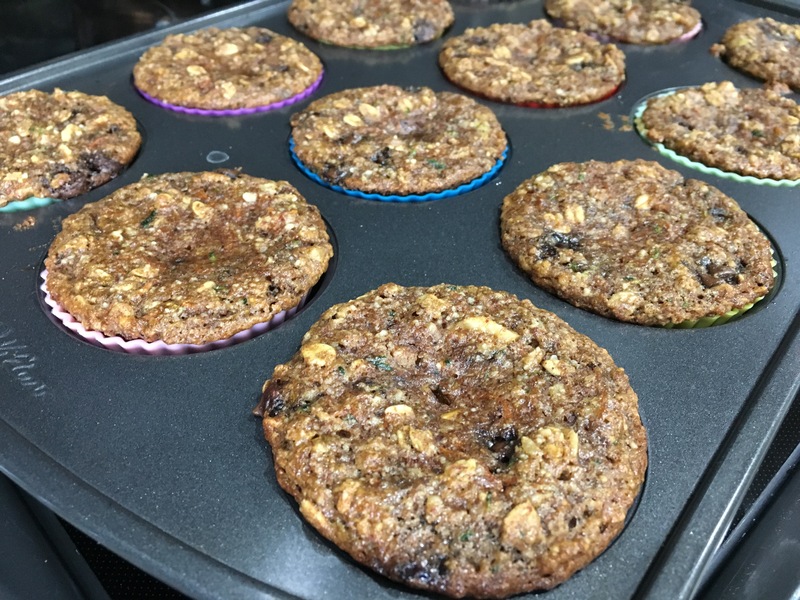 I baked these on my silicone mats. 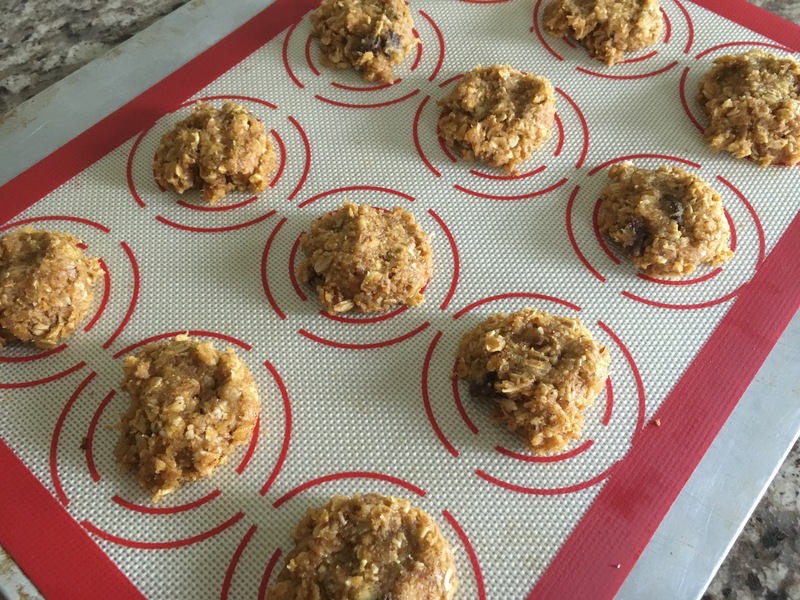 I love these baking mats because of ease of clean up and I love that I can slide the whole mat off the cookie sheet and onto a cooling rack with the cookies all in place and it only takes a second. 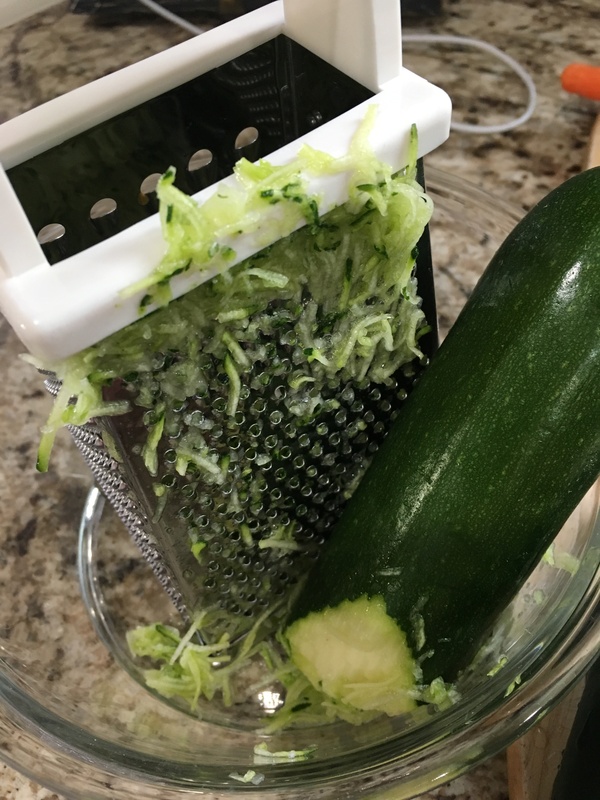 Have them cool completely before storing them in a tupperware or in freezer ziploc bags. 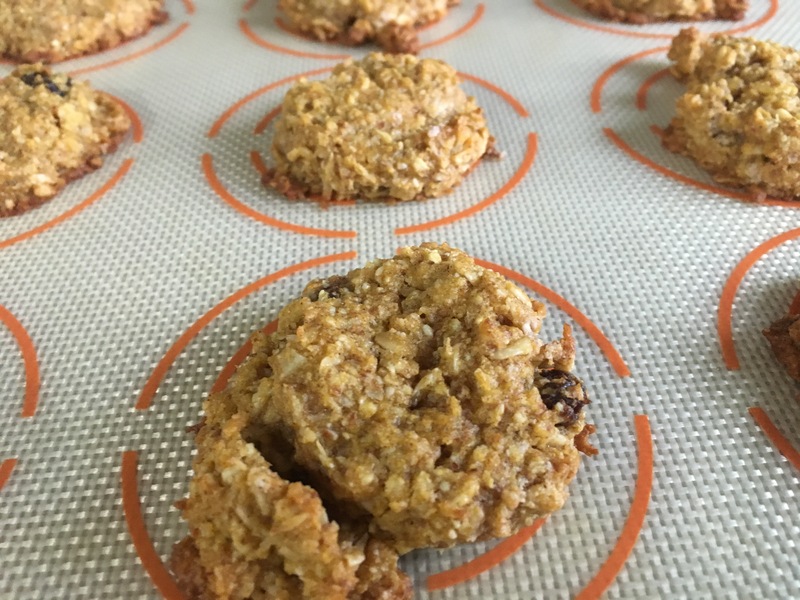 Preheat oven to 350 degrees and line a cookie sheet with a silicone mat or parchment paper and set aside. 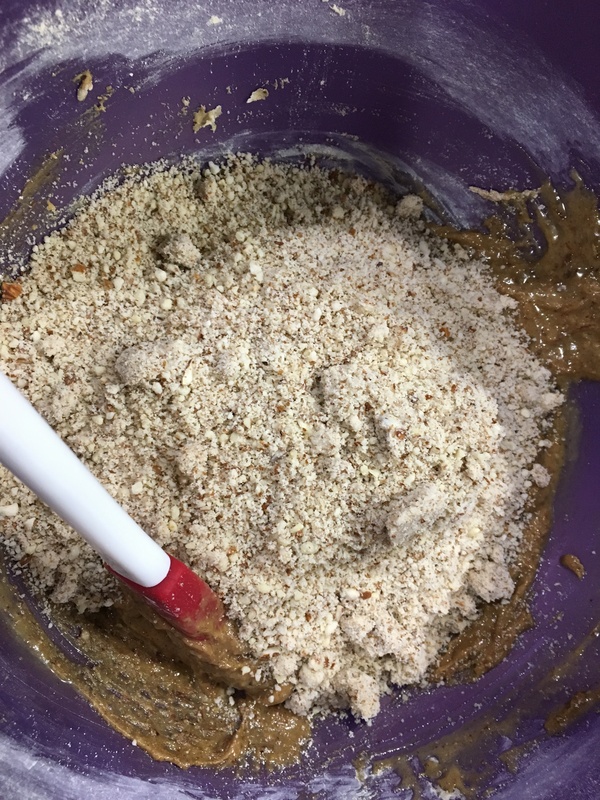 In a large mixing bowl add your flour, oats, coconut, cinnamon and salt. 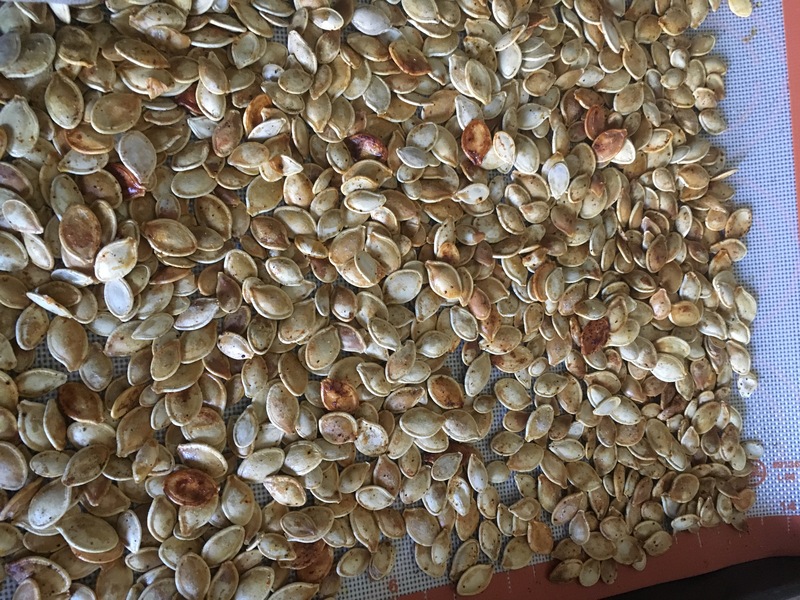 In a small mixing bowl combine your pumpkin, syrup, and oil. Add the pumpkin mixture to the dry ingredients and stir to combine. Add in any optional raisins, nuts, chocolate chips etc and stir until incorporated. 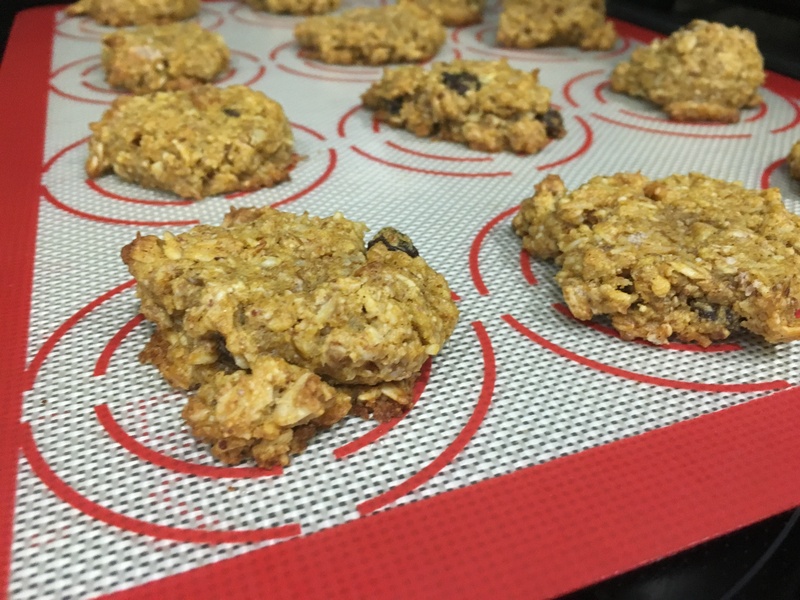 Using a cookie scoop, scoop out dough and place on cookie sheet baking for about 25 minutes, until golden(check after 20). Makes 3 dozen cookies. 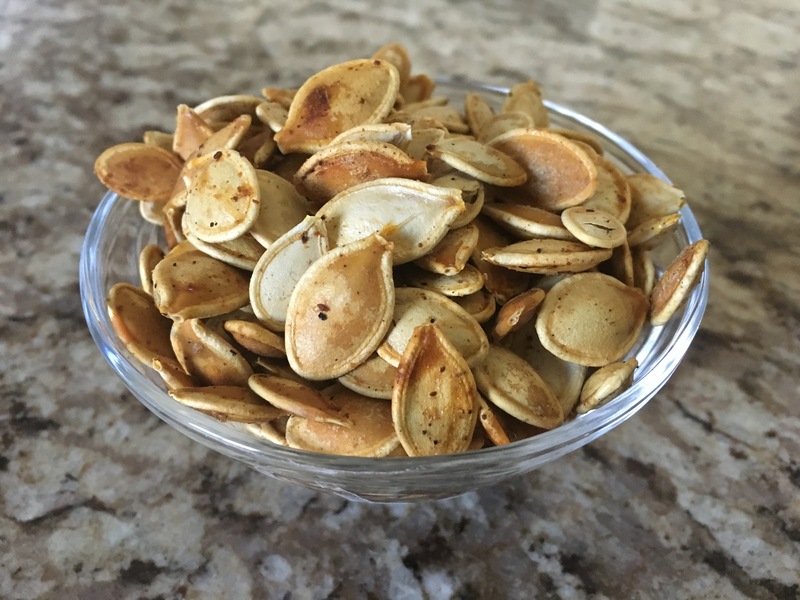 You can eat these right away or store in a tupperware container for a couple of days. 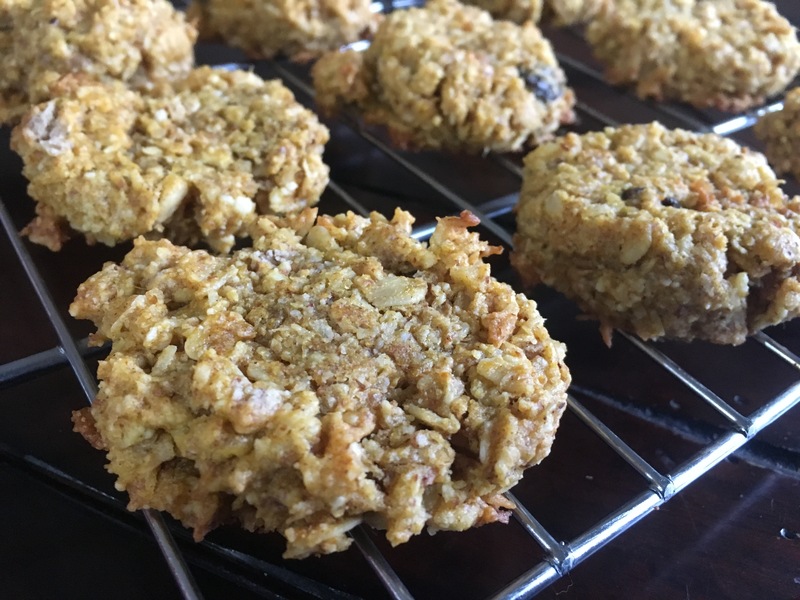 They are also great cold and I like to freeze most of mine and eat them straight out of the freezer (they don’t require any thawing time because they’re a softer cookies). 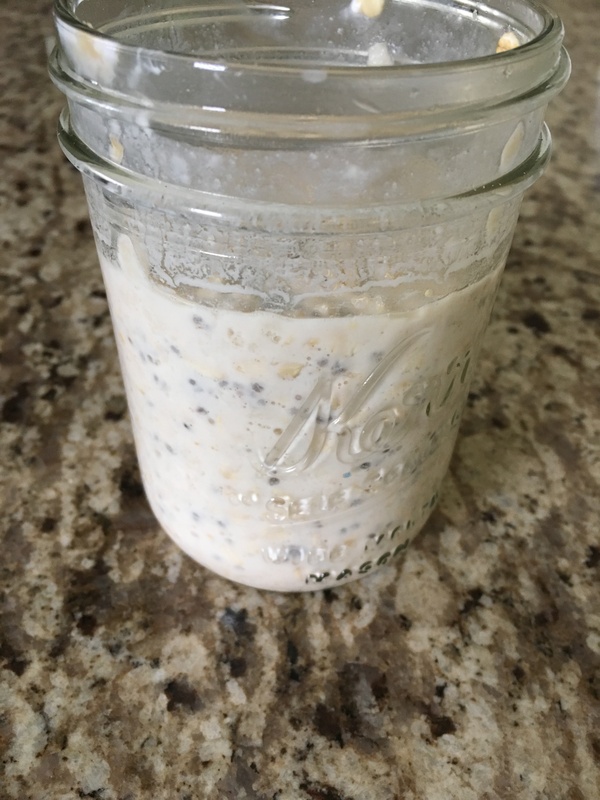 I’ve seen recipes for overnight oats posted on instagram and pinterest for some time now, and I finally decided to give them a try when my running buddy mentioned that she makes these weekly, the night before a busy day, and then just grabs it out of the fridge in the morning and takes it along with her. Some days are busier than others and having a healthy and filling snack on hand and ready to go, is so nice. 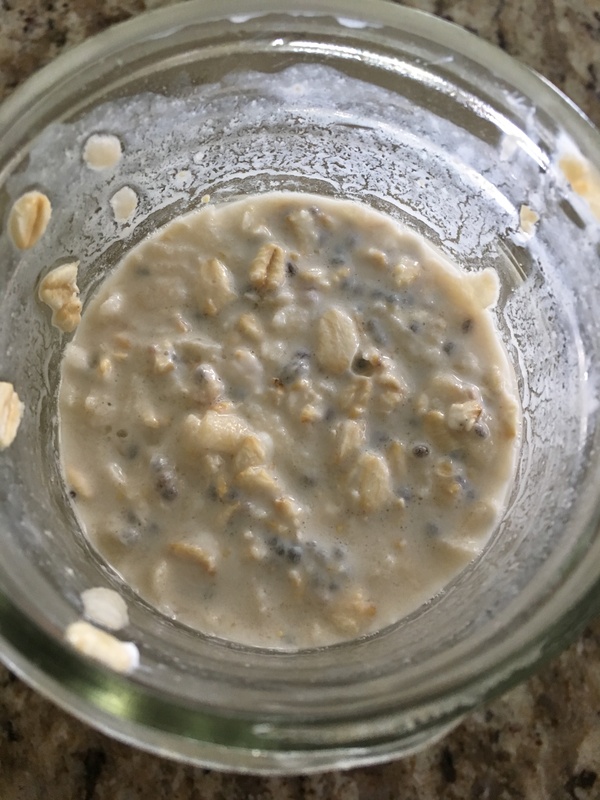 Like oatmeal, these overnight oats have a mushy consistency; the chia seeds and oats soften with the milk and yogurt, and the yogurt gives it a little bit of a tang,but you also get the sweetness from the syrup and the optional grated apple. I really like this, though I know oatmeal and mushy dishes aren’t everyone’s thing, but give it a try before you judge! 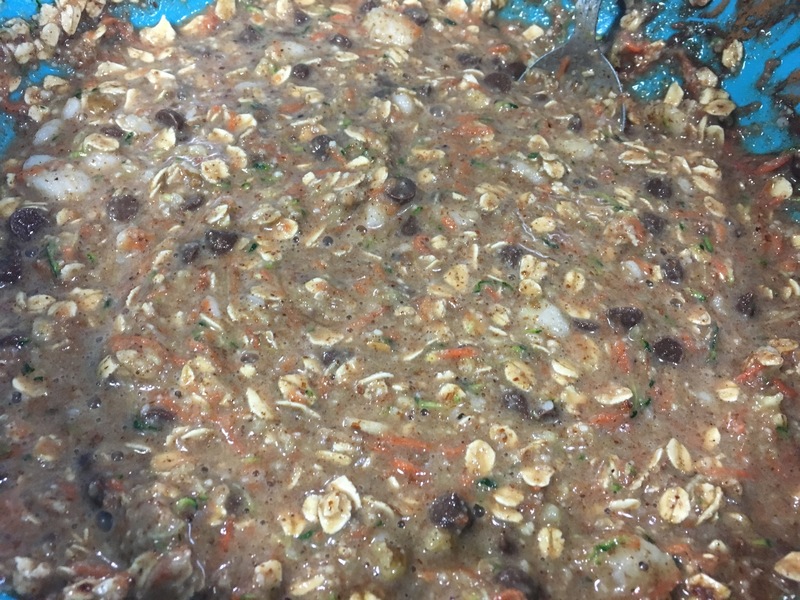 I took this picture below, right after I combined all the ingredients and stirred them together, so as you can see, the oats and chia seeds haven’t yet softened. If you decide to use steel cut oats, just make sure you really do let this sit overnight, or for at least 8 hours. 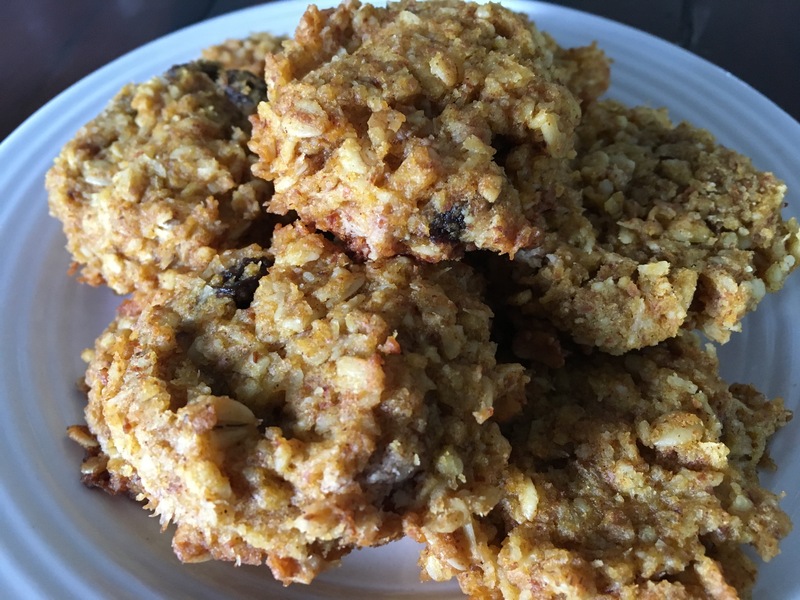 You can get away with 4 hours with regular rolled oats, in fact I do that all the time, throwing this together in the morning and eating it for lunch or as a late afternoon snack. Combine all ingredients in a 12-16 oz mason jar and stir to combine. 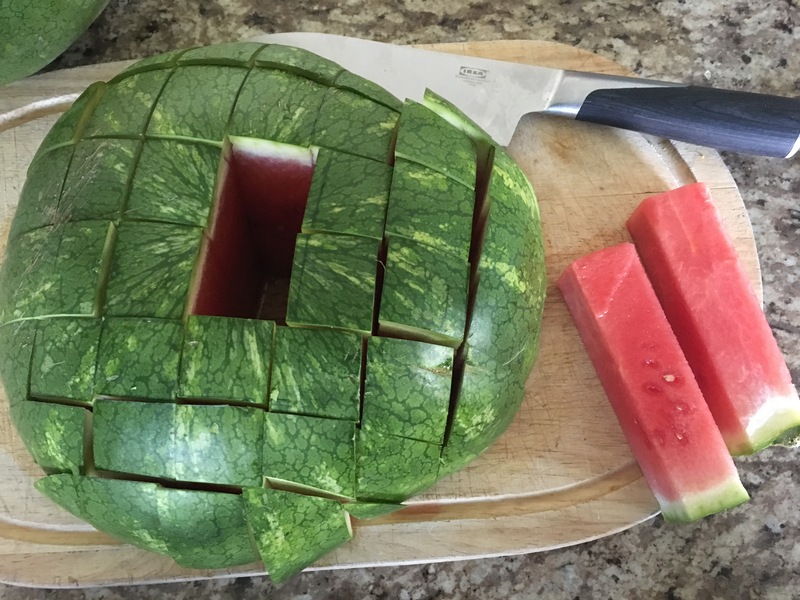 Cover with a lid and allow to sit overnight, or at least 4 hours (8+ hours if using steel cut oats; steel cut would be fine left in fridge for a couple of days). Eat chilled.